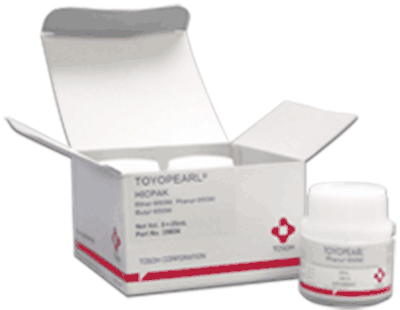 LabPak products are multi-milliliter containers of TOYOPEARL and TSKgel bulk media products. Typically they contain three or four different ligand types offered for a particular chromatography mode. The larger resin amounts in LabPak products allow the packing of wider I.D. and longer columns than available in the ToyoScreen products. This helps the developmental chemist or engineer to better measure under actual packing conditions.